As more technological advancements are uncovered, Stoby, the first job platform directly targeting the student community, completely rethinking and simplifying the way students find jobs came on board. Stoby is the first tokenized student job platform. Stoby sells free time to busy people and gives students the opportunity to benefit from additional income. We are the first job platform directly targeting the student community, completely rethinking and simplifying the way students find jobs. With the ICO, we are bringing Blockchain technology on our P2P platform to ensure transparency, trust, and traceability. Paid in tokens (STB), students will earn more and be able to spend their earnings on campus and with partners. Ultimately, we are building a network of millions of students gathered around a strong community and a unique currency, the STB. Stoby’s mission is to provide all its support for an optimal deployment of the token in the student environment. 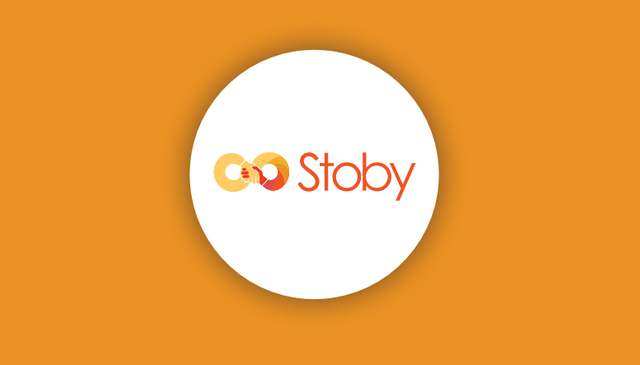 Stoby’s role will be to facilitate its access and exchange, both on and outside the platform. In the coming years, Stoby will strive to communicate and make partnerships with different student organizations for them to accept and re-use the token. The question of time is essential at Stoby. Stoby offers free time to individuals for them to go about their daily business. This is the value proposition. The first of human rights is individual freedom, freedom of property, freedom of thought, freedom of work » said Jean Jaurès. At Stoby, students enjoy their freedom of work and individuals enjoy their own individual freedom. Trust is the keystone of Stoby’s concept, both between the platform users and towards Stoby. With all the tools that Stoby makes available to their users, Stoby tries to establish the best possible relationship of trust between individuals and students. Stoby provides a complete traceability of the students’ missions background and performance. Transparency will be decentralized and certified when Stoby migrates on the blockchain. Supplement of income, student job, summer job, mutual assistance or real lifestyle choice, jobbing is on a roll. This phenomenon would have emerged in France in spring 2013 with the launch of half a dozen sites in a few weeks. Favoured by the collaborative economy development, platforms of services between individuals have been flourishing on the net since 2013 and Jobijoba decrypts the fad of French people for jobbing with a first study on this topic. Jobijoba thus analysed a million online offers on its site in April 2017. Advertisements for odd jobs paid on a job or mission basis amounted to nearly 5% of all online job offers, that is to say, 46 855 ads ! Among the conclusions that can be drawn from Jobijoba barometer, moving assistance/gardening/ DIY are the most frequently requested on the jobbing market, with 49,1% of offers, ahead of babysitting (35,7%) and housekeeping (6,6%). Regarding jobbers, they firstly search for housekeeping and personal assistance missions (24,8%), host or hostess in events management, catering assistance (17%) and school support (14,2%). Platforms of services to individuals seem poised to achieve the fastest growth, with an increasing turnover of about 30% per year until 2025. The development of this sector is stimulated by a new generation of consumers, who are increasingly using on-demand services to meet the occasional needs of everyday life, such as FoodChéri (delivery of Chef’s meals at home) or AlloVoisins (ex ILokYou -rental of equipment and services between individuals). In Stoby’s shop, the STB tokens will be used directly on the platform to have access to offers and services related to the jobs. On our shop, individuals will have the opportunity to buy or rent some products corresponding to the available services on the platform. Payments in STB tokens will enable to get reductions in the price of the sold products. For example, a dog owner will be able to buy a new leash on the site. Or a couple that moves can rent a hand-truck on the platform for the student who works with them. Why pay with STB tokens? Investors in STB tokens will have the opportunity to benefit from competitive rates when purchasing those products. Fast delivery.